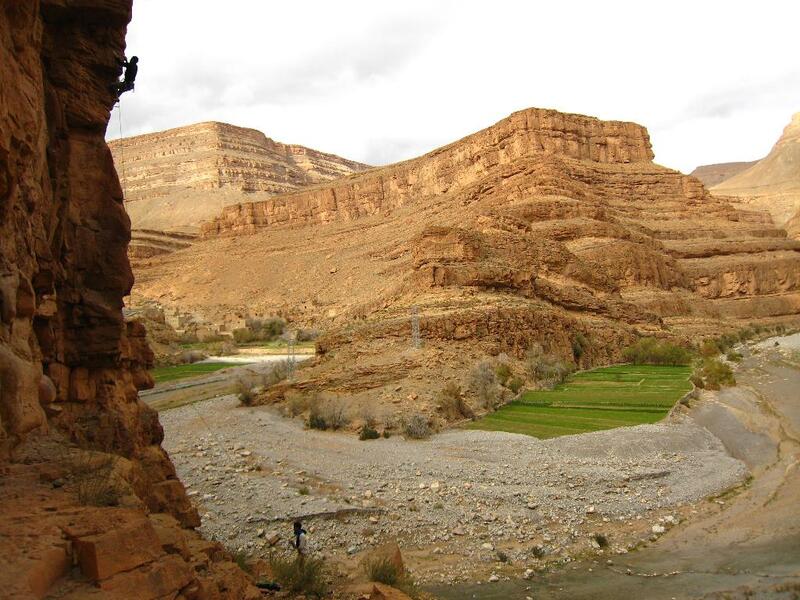 Tour : Marrakech - Zagora 2 Days - Desert Tour & Camel Trek : Tours And Excursions Organization, Travel to Morocco, Morocco Tour, Morocco Mountain Guide. 1 Day : Marrakech - Ait Benhaddou - Ouarzazate - Draa Valley - Zagora Dunes (Nekhla). 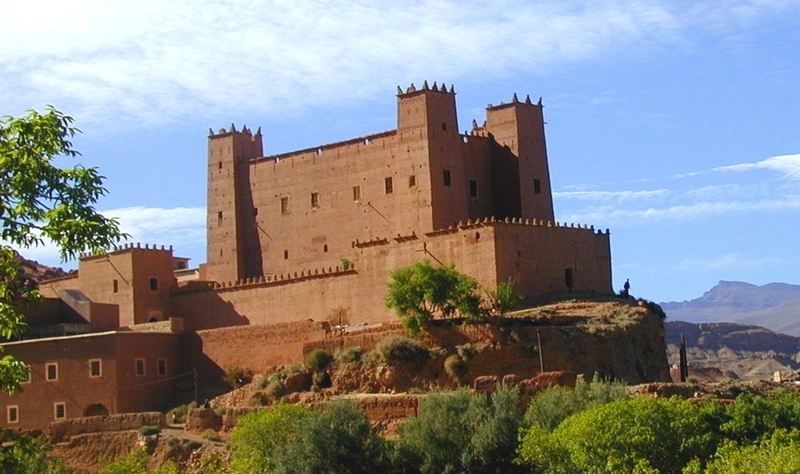 Departure is planned from Marrakech at 7h00 in the morning, taking the road to cross High Atlas mountains via the Tizi n'Tichka pass towards Ait Benhaddou village, the fortified ksar with it’s beautiful Kasbahs, Ait Benhaddou has served as a natural decoration for many movies producers since 1960’s. Once you get to Ait Benhaddou village you take a walk to go on the top of the hill to dominate the whole village. 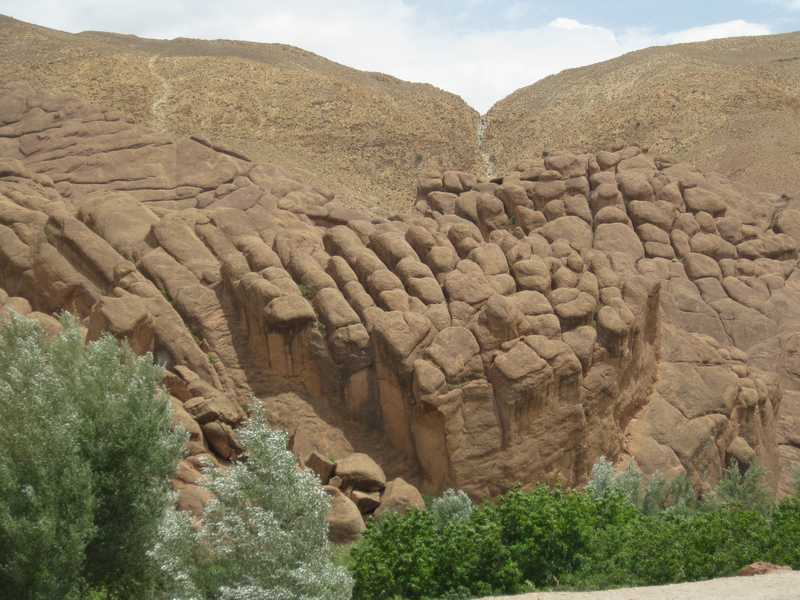 Afterwards, you will head to Ouarzazate for lunch next to the famous Kasbah of Taourirt which presents the historical and cultural interest of Ouarzazate. After lunch you will travel to the south and cross the second pass which is Tizi N’Tnifift at 1710m and Ait Saoun village, the former route of caravans for Sahara traders coming from “Tombouktou”, you will reach the first administrative centre called “Agdez Village” that marks the source of Draa Valley, with it’s 6 successive palm groves stating (Mezguita palmary, Fezouata...) and Kasbahs stating the famous Tamnougalt Kasbah. 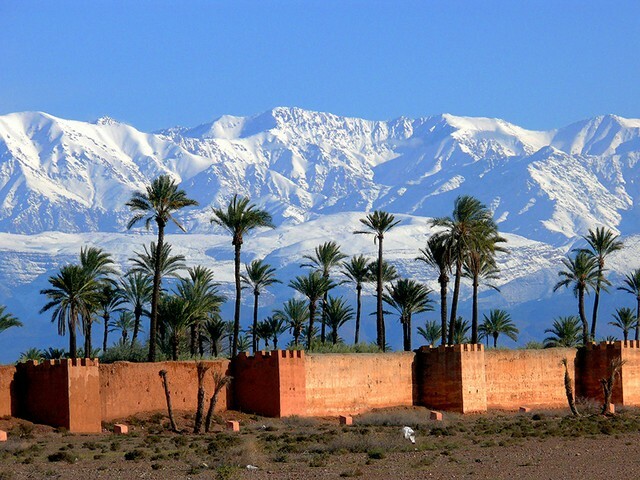 You will continue through the lunar landscapes and the Pre-Sahara routes until you get to Zagora which is a small town, the native region of Saadian dynasty (Saadian tombs in Marrakech) who used to rule Morocco in the XVII century. You will take a camel trek , ride the camels by the sunset and get to our camp located in a Oasis called Nekhla and enjoy a dinner and overnight in the tents. 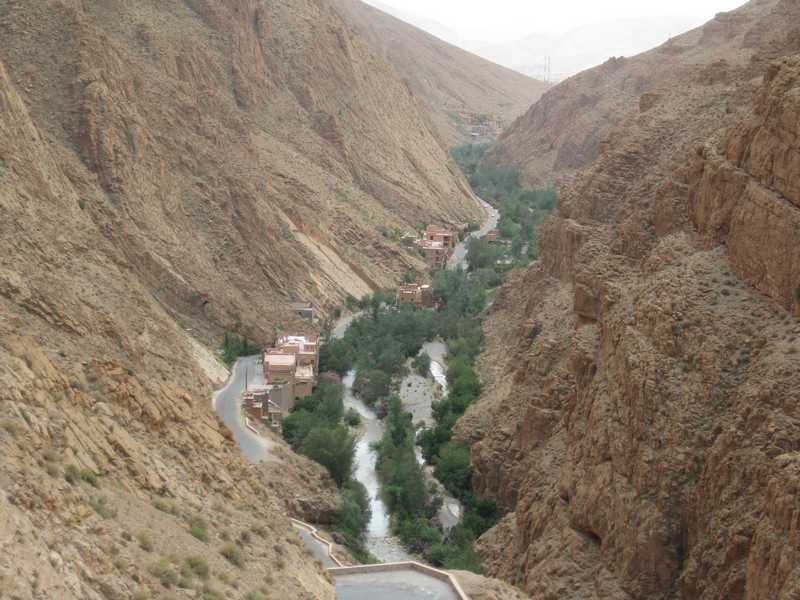 2 Day : Zagora Dunes - Agdez - High Atlas & Tichka - Marrakech. A wake early to see the sunrise over the dunes, followed by a typical brakfast in the bivouac of Zagora in the southern Morocco, then ride back the camels to meet your driver, then drive back to Marrakech, you will pass via Ouarzazate and have free time for lunch in a local restaurant. 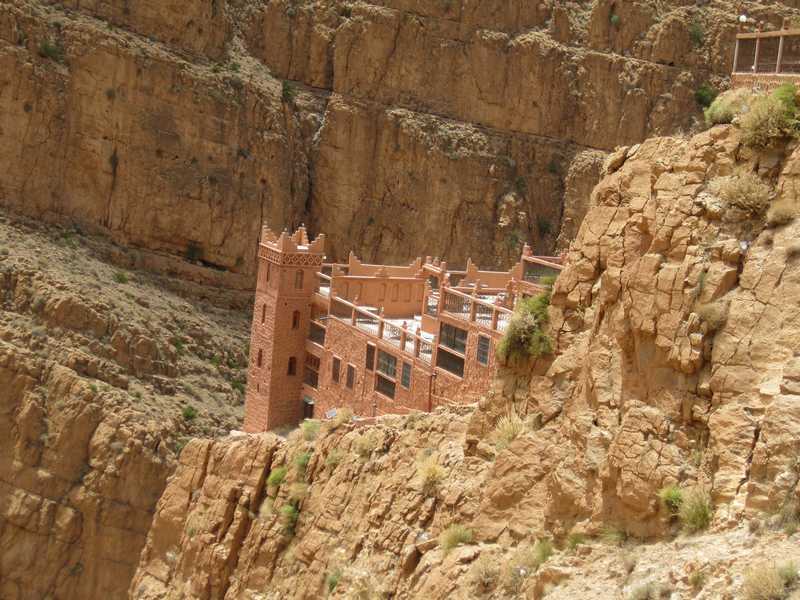 In the afternoon, you will continue via the Atlas Mountains to get to Marrakech. 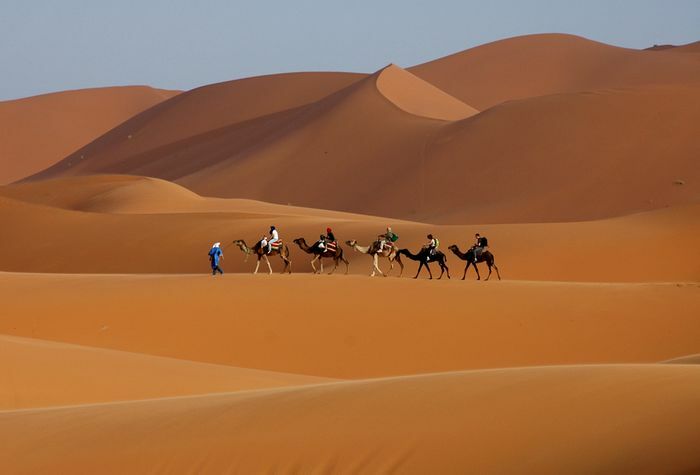 The end point of your 2 days / 1 night Sahara desert tour from Marrakech to Zagora.